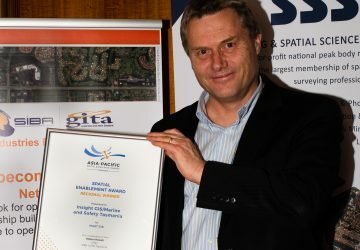 Kingborough Council’s Local Links project, developed online by Hobart-based mapping and location intelligence company, Insight GIS, recently won the People and Community Award at the SIBA|GITA Asia Pacific Spatial Excellence Awards (APSEA). The awards, run by the Spatial Industries Business Association (SIBA|GITA) and the Surveying and Spatial Sciences Institute (SSSI), celebrate the achievements of top spatial information enterprises and individuals. Innovators with services and products related to surveying, mapping, remote sensing, geographic software, GPS technology, and location intelligence are recognised as part of the awards. Insight GIS Managing Director Robert Rowell said that the team was incredibly honoured to receive such an acclimation. “It’s an amazing recognition of the work we’ve done, but also how we’ve been able to impact the lives of people living in Kingborough. “Residents are now able to access information on the location of the closest bus stops, parks, schools, playgrounds, public toilets, fresh food outlets and community services, and how long it will take to walk there, within a 10 or 20 minute timeframe,” said Robert. Insight GIS and other winners selected from each category in each region will be announced at the SIBA|GITA APSEA Gala Awards Evening in early 2018. 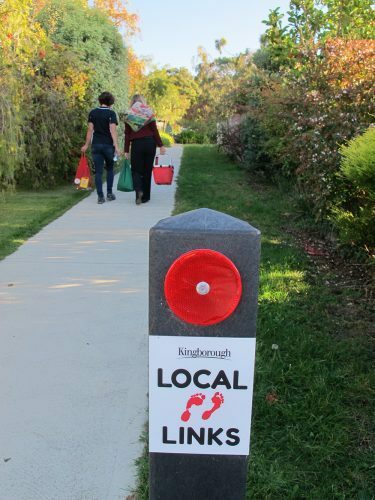 The Local Links project began in 2009 with the initial research undertaken through Kingborough Council’s award winning Conversations in Kingborough Youth Transport Consultation where school children identified that even though most students lived within a three to five kilometer radius of school, commuting was generally made by car. This was followed by further consultation from the council with three local primary schools (Illawarra, Kingston and St Aloysius) during the development of the Walking School Bus initiative.